Each of these talented floral designers brings a different perspective to our tour. 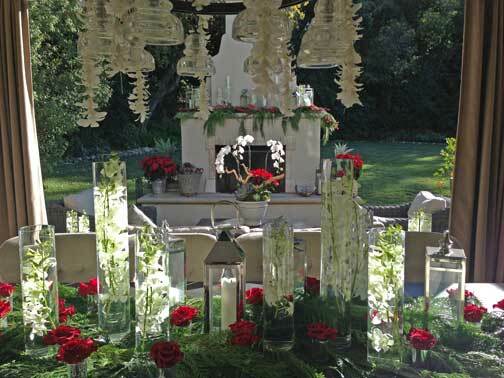 All of them have participated multiple times over the past years and continue to bring new designs and unique, innovative looks to their holiday arrangements and decorations. As every home is different, each designer finds a way to bring the holidays to life in a manner that complements each home’s distinctive elements. The Women’s Committee of the Pasadena Symphony Association is so thankful for the participation of these talented florists. We encourage you to visit their establishments and patronize their services. See what they can do for your home! 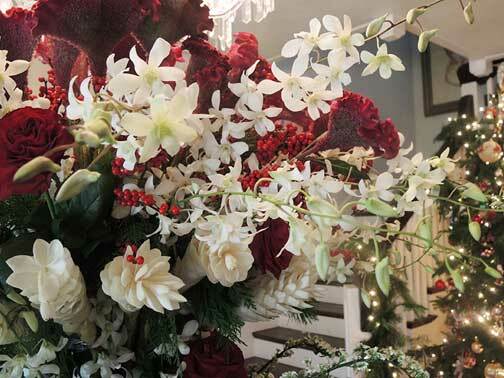 The 2018 Holiday Look In home tour will feature the work of the following floral designers. Mr. Domenghini is the owner of Patterson’s Topiaries, Pots and Teas, celebrating 16 years in floral design. Drew specializes in parties, weddings, debutante balls and social events. Whether working on an intimate dinner party or a large-scale gala, Drew has the ability to listen to his customers’ floral fantasies and translate them into reality. Drew has provided his amazing floral work for the Las Madrinas Debutante Ball that benefits Children’s Hospital Los Angeles for over ten years. Margit Holakoui is the owner of Margit Holakoui Florist which is currently located in Arcadia. 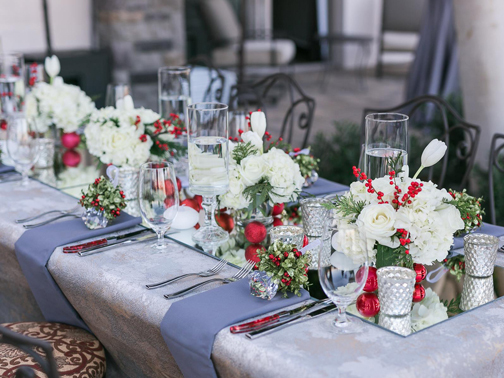 She has been a floral designer in the San Gabriel Valley for over 43 years and is equally at home designing one-of-a-kind floral arrangements or creating just the right look for a spectacular wedding or special event. She is known for her attention to detail and her ability to understand and interpret her clients’ wishes by creating for them the perfect arrangement. Margit, her husband, Ali, and daughter Aleah also own Robert’s Wholesale Florist, providing fresh flowers and supplies to the public. 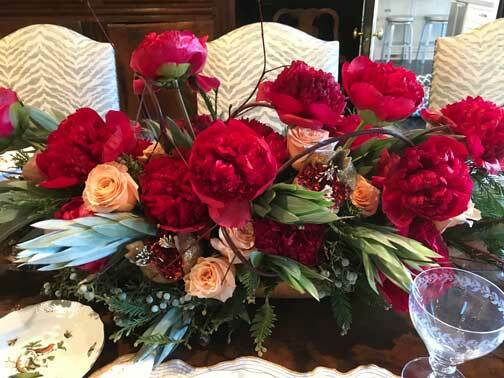 Lisa Cardella of Ixora Floral Studio specializes in weddings, and special events, as well as, weekly floral service programs and holiday décor for private residences, restaurants, corporate offices, hotels and private social clubs. With 18 years in floral design and event production, Lisa continues to be on the cutting edge of current trends. With locations in Sierra Madre and downtown Los Angeles inside the Jonathan Club, Ixora has built a reputation for catering to a clientele who seek a sophisticated touch, a distinctive look, and an experienced hand. Hank Maarse of Jacob Maarse Floral Design has been continuing the gold standard in floral innovations and craftsmanship that has defined Jacob Maarse for over half a century. Located in Pasadena’s historic Playhouse District, Jacob Maarse is a world class, full-service florist that transforms flowers from all over the world into tasteful creations of beauty to please both commercial and individual clients. Jacob Maarse has participated in the Holiday Look In Home Tour since its inception 51 years ago. The Women’s Committee and the Pasadena Symphony Association is very grateful for all the support that Jacob Maarse and family has given over the years.